Softball at Miami has been cancelled due to weather. The JH track meet at Archie today, 4/23, has been postponed due to weather. It will be made up on 4/24. The baseball game scheduled for 4/23 at Miami has been cancelled due to injury. Softball will be played as planned at 4:30. The baseball game scheduled for this morning, March 30, has been cancelled due to weather. All athletic contests (baseball, softball, and track) scheduled for this evening, March 29, have been cancelled due to weather. The high school track meet at Adrian has been postponed due to weather and will be rescheduled at a later date. The reception to recognize athletes that participated in Winter Sports will be held on Monday, March 11th, at 6:30 pm in the high school cafeteria. The parent/guardian meeting for all spring sport athletes will be held at 5:30 pm in the elementary cafeteria on Tuesday, March 5, to allow everyone the opportunity to also attend the public education and career planning meeting at 6:00 pm in the auditorium. The parent/guardian meeting for all baseball, softball, and track participants will be on Tuesday, March 5, 2019, at 6:30 pm in the elementary cafeteria. Reschedule Reminder: Basketball games, Senior Night, and the Junior Class Silent Auction will all take place tomorrow, February 25, beginning at 5:30 pm. The Lady Tigers will play for the District Championship this evening at 5:45 in Drexel. Let's fill the stands with red and blue as our team takes on Lakeland! The basketball games scheduled for tonight at Drexel have been postponed until Monday, February 11. ARCHIE TOURNAMENT UPDATE: Due to the possibility of icy roads developing later, the starting time for the RH v Archie Varsity Girls Basketball game tonight (1-22-2019) has been moved up to 5PM. The bus will leave RH at 3:30PM. The Tigers defeated NEVC to advance to the championship game on Saturday and the Lady Tigers will play for 3rd! The start time for the Varsity girls basketball game at home this evening against Lincoln has moved to 6:00 due to transportation issues. The Rich Hill R-IV School District has 3 springtime coaching positions available: Varsity Boys Head Baseball, Varsity Boys Assistant Baseball, and Varsity Girls Assistant Softball. If interested, contact RH AD Ashley Arwood at 417-395-4191 or see announcement at https://www.richhill.k12.mo.us/o/rich-hill/page/rich-hill-r-iv-central-office . After driving the roads, we have decided that there will be NO basketball practice this afternoon. All activities today have been cancelled. The Junior High Basketball games scheduled for this evening have been cancelled due to road conditions near Amoret. We will make a decision about HS practice in the early afternoon. Rich Hill finishes as the District Runner-Up. Congratulations on a great season Lady Tigers! Go support the Lady Tigers tonight in Adrian as they make a run for the District Title! Their first game will be against Hume at 6:00. 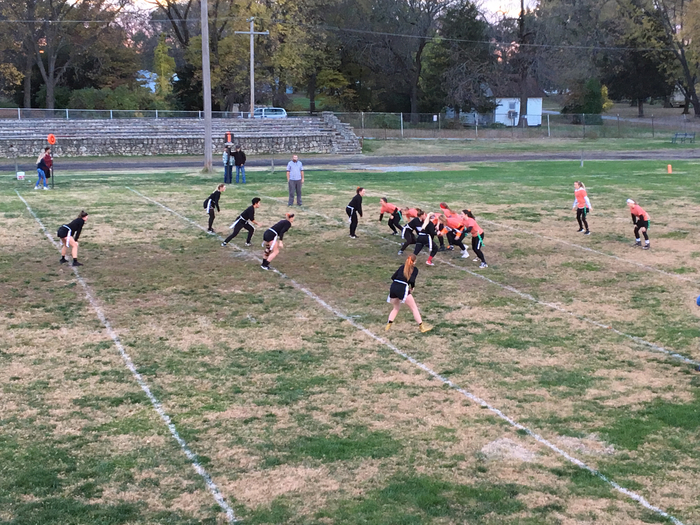 JH Football starts at 5:00 this evening and Volleyball Pink Out Night games will begin at 5:30. Come see the Tigers in action tonight! High School Volleyball at Hume tonight will begin with Varsity at 5:30. JV will follow. Go Lady Tigers!! The Tigers take on the AC Bulldogs tonight at 7:00 in Butler. FREE admission for all! Come show your support!! We’ve gone Orange for #jessicasjourney!! Rich Hill JH Football beats up Osceola, 56-18. 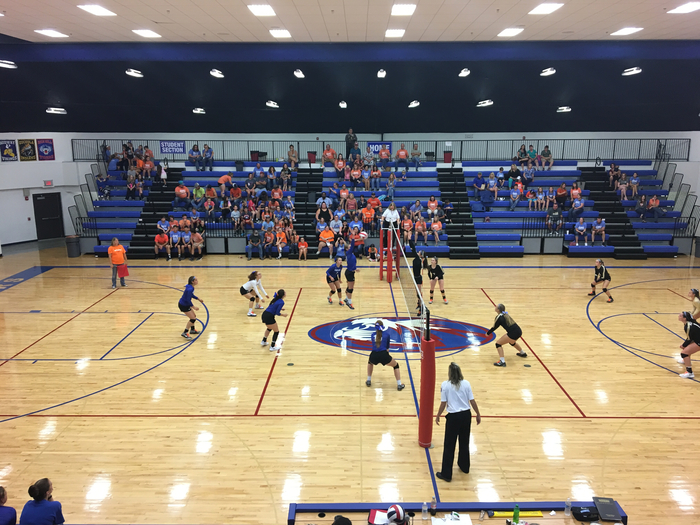 JH Volleyball begins tomorrow with home games beginning at 5:00pm. HS Volleyball will begin with JV at 5:00pm this evening at McAuley Catholic in Joplin. The bus will depart at 2:45pm. GO LADY TIGERS!! Varsity Volleyball will be playing first this evening with JV to follow. Games begin at 5:30 at Miami. GO LADY TIGERS!